Accelerate your digital transformation and enable advanced healthcare analytics. AWS Healthcare Competency Partners have demonstrated success in building solutions for healthcare payers and providers that securely store, process, transmit, and analyze clinical information. Working with these AWS Competency Partners gives you access to innovative, cloud-based solutions that have a proven track record handling clinical data. Listed below are the partners, products, and solutions that have been vetted, validated, and verified by the AWS Partner Competency Program to support you in these areas. Philips discusses its AWS-enabled connected health platform. Transactional systems that are used in the provider setting to capture and document clinical encounters as well as provide direct patient care. Deliver better care more efficiently with the #1 electronic health record (EHR). With no software to download or hardware to manage, your cloud-based EHR is always up to date — helping you stay current in a continuously changing clinical landscape. PokitDok provides a software development platform to free, secure, and unify data that drives the business of healthcare. Its 30 API endpoints facilitate eligibility checks, claims submissions, appointment scheduling, payment optimization, patient identity management, pharmacy benefits, and other business processes. PokitDok maintains Trading Partner agreements with more than 500 health insurers and payers, representing 93 percent of covered lives across the US. Over 1000 third party enterprise applications run on PokitDok, built by healthcare organizations, digital health companies, and business process outsourcing consultants, to improve workflows, cut costs, and speed time to market. Organizational and enterprise solutions to analyze and manage patient, population, quality and operational data to improve cost and quality objectives. hc1 is the leading Healthcare Relationship Management (HRM) solution for innovative healthcare organizations. Award winning CRM, collaboration, and live analytics tools enable healthcare providers to deliver 5-star healthcare experiences to their clients and patients. hc1 has been adopted by over 1,000 sites across the globe, including Cleveland Clinic, Quest JVL MACL, and Sonic Healthcare. An open, secure platform of services, capabilities and tools designed to inspire and enable the development of next generation connected health and wellness innovations. HealthSuite digital platform offers both a native cloud-based infrastructure and the core services needed to develop and run a new generation of connected healthcare applications. IQVIA Delivers Integrated Information and Technology Solutions to Drive Healthcare Forward. Around the world healthcare stakeholders are working to improve real-world patient outcomes through treatment innovations, care provision and access to healthcare. Solutions that address operational requirements of the healthcare enterprise including revenue cycle management and ERP. Securely store and process Protected Health Information (PHI) on the Appian digital transformation platform. Appian delivers a HIPAA compliant enterprise platform for digital transformation in healthcare that enables payers and providers to bridge core systems, enhance member experience, and significantly improve patient outcomes. 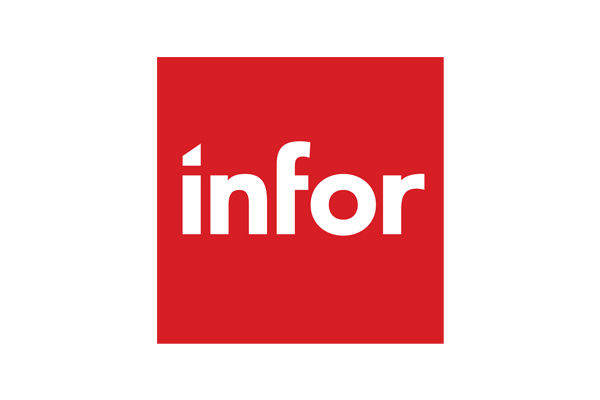 Infor CloudSuite™ Healthcare, a comprehensive set of proven, healthcare-specific applications backed by decades of development and currently serving more than 100 healthcare organizations and one million subscribers in the United States. Infor CloudSuite Healthcare offers visibility into every facet of your organization, all within a secure infrastructure built specifically for community hospitals, integrated delivery networks, academic medical centers, children’s hospitals, long-term care facilities, sub-acute care, outpatient clinics, and payers. Pegasystems is a global leader of customer relationship management (CRM) and Business Process Management (BPM) software. Pega’s rules-driven software helps enterprise and government agencies update their operations and systems to reflect changes in business goals and strategies. Pega’s Healthcare line of business helps leading health plans, pharmacy benefit managers, providers, and government healthcare agencies improve clinical, financial and operational outcomes. As healthcare organizations attempt to navigate the post-reform economy turmoil, many turn to Pegasystems to assist in their efforts to innovate, reduce costs and improve the customer experience. Consulting services and solutions that assist healthcare organizations with compliance and regulatory support including system architecture. Aptible Enclave is a HIPAA-compliant, AWS-based secure deployment platform for DevOps teams. Aptible helps hundreds of digital health companies get to market faster with less risk. Datica is the leader in ensuring AWS is HIPAA compliant and HITRUST CSF Certified. Datica Compliant Cloud™ makes compliance on AWS a solved problem. Datica fills the gaps within AWS's Business Associate Agreement by managing cloud configurations and operations required to make AWS fully compliant. Professional services across a wide array of needs including managed services, application development support and general consulting. 8K Miles is a domain knowledge specialist in the field of Healthcare IT. As a premier provider of industry-focused solutions and services, 8K Miles leverages years of background, experience and Subject Matter Expertise (SME) in approaching fast-moving landscape in US Healthcare market. The foundation of 8K Miles’ Healthcare practice is experienced and certified resource base in EHR strategies, implementation, go-live support and upkeep. The breadth of service offerings span across most well-known EHR products, inter-operability solutions, Business Intelligence, Analytics and HIE Intersect. ClearDATA is a rapidly growing healthcare and life sciences exclusive, HITRUST certified cloud service provider. ClearDATA enables their customers with a compliant application environment utilizing their DevOps Automation and Compliance Dashboard for Healthcare and Life Sciences. They focus on empowering customers with a native experience on AWS while also ensuring continued compliance with standards like HIPAA and GxP through dynamic guardrails and safeguards, hardened machine images, and real-time event processing and analysis. ClearDATA provides advanced monitoring and automation as well as a comprehensive BAA, ensuring their customers are adhering to the highest standards in security and compliance. ClearScale designs and builds HIPAA compliant, scalable, and resilient cloud solutions on AWS. Clinical Information Systems; Population Health & Analytics; Health Administration. ClearScale has helped HealthCare organizations maximize benefits on the AWS platform. We enable innovation, velocity, and efficiency while maintaining security compliance and manageability. Easily deploy your HIPAA applications on AWS through Cloudnexa’s complete compliant tool set. Cloudnexa developed a complete solution for clients needing to achieve compliance. Through our award winning managed services offering, we provide all the tools necessary to run your HIPAA application. Whether it’s building a new application or migrating existing systems to Amazon Web Services, Cloudticity has you covered. We’re experts in coding, migrating, and managing healthcare applications in the Amazon cloud. With some of the largest HIPAA-compliant solutions on AWS, we’re ready to get you more secure, more reliable, more performant, and more cost optimized than you’ve ever dreamed. Coalfire works with AWS helping healthcare organizations secure their data and achieve HITRUST CSF certification. We help our AWS healthcare clients understand how products and services such VPC, IAM, ELB, EC2, S3, EBS, KMS, and RDS can be leveraged to help them implement and maintain the necessary security standards to meet compliance requirements and safeguard their business. From understanding the impact of reform to addressing regulatory mandates, healthcare leaders choose us to help them work better and work differently. Whether it's managing costs or finding ways to grow more profitably, Cognizant is redefining the way healthcare companies benefit from global services. Connectria Hosting is an Advanced AWS Consulting Partner, combining years of experience in providing HIPAA compliant cloud solutions with the expertise in building and managing AWS environments. Connectria provides HIPAA Compliant Amazon Web Services (AWS) support for customers who must comply with HIPAA, HITECH, and Omnibus standards surrounding the storage of Protected Health Information (PHI) in AWS. Strong AWS Security and Compliance with Built-In Automation. Flux7 life sciences and healthcare infrastructure solutions provide compliant, scalable and self-healing cloud infrastructure. Using AWS automation and security best practices, we build solutions that help you meet market opportunities by keeping focused on your business, not worrying about your infrastructure. Healthcare companies face unique regulatory challenges when they migrate to the cloud. Mission can build a strategic plan designed to increase efficiency and analytic capability while meeting core security and compliance requirements. Mission can help you architect and build a HIPAA-compliant cloud infrastructure so you can innovate more quickly and deliver better and faster outcomes for patients, while also meeting and maintaining compliance requirements around logging, auditing, backup, and disaster recovery. We help the nation's largest healthcare organizations migrate to the cloud, manage security, and implement necessary processes to protect ePHI and impress HIPAA auditors. With 22+ years in healthcare IT, Logicworks is the only AWS Premier Partner capable of managing complex legacy systems across multiple cloud and on-premises environments. Our extensive track record in the healthcare sector combined with our compliance automation experience makes Logicworks the service provider of choice for the largest healthcare workloads in the US. Onica is vastly experienced in deploying HIPAA compliant infrastructure solutions into the AWS cloud platform. Our team of certified architects and engineers can help you migrate and deploy your healthcare business into a HIPAA compliant AWS cloud solution. 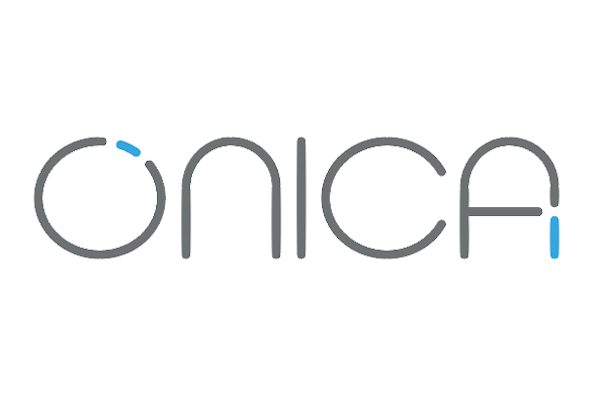 Onica is a leading technology firm providing cloud consulting services, infrastructure solutions, and managed services. We use our experience to ensure that clients have the best technical solutions to solve their business challenges and deliver value for their organization. Are You Interested in Listing Your Healthcare Solution? Partners interested in listing their Healthcare product or solution must have achieved the Security Competency through the AWS Competency Program. Note: In order to achieve the Competency, APN Partners must provide supporting documentation such as architectural designs for review by AWS and its 3rd party auditor.